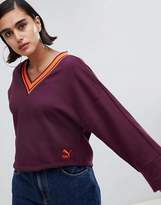 Sweatshirt by PUMA, V-neck, Contrast trims, Dropped shoulders, For laid-back vibes, Small logo to hem, Popper trim to reverse, Pop it like it's hot, Oversized fit, Designed to look baggy. 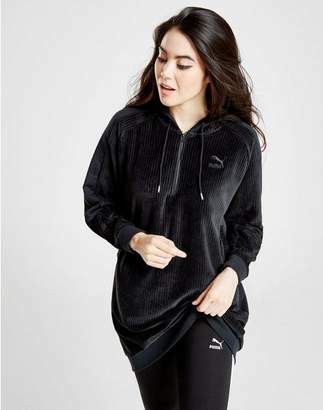 Mixing the world of sports and lifestyle, PUMA's innovative products successfully fuse the creative influences from the world of sport and fashion. 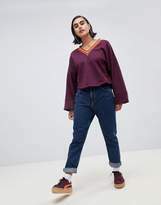 Embracing contemporary design and innovative sports technology, PUMA's collection of footwear and clothing keeps its athletes looking good whether they're casual or competing.